Vanessa Bell Armstrong – Church Of God In Christ, Inc. Among singers, imitation really is the sincerest form of flattery. For decades, scores of vocalists have tried to duplicate the dazzling emotional range mixed with a battery of vocal acrobatics and astonishing technique that characterizes one of Gospel music’s most recognized and beloved signature voices. With a style reminiscent of Aretha Franklin, soulful Vanessa Bell Armstrong has been belting out R&B-flavored contemporary gospel since the ’80s. She’s recorded urban contemporary ballads and lyrically neutral material for Jive, and gospel for Muscle Shoals Sound Gospel and Onyx, subsidiaries of Malaco, along with Verity, Music World Gospel and EMI Gospel label imprints. Vanessa Bell Armstrong, an artist steeped in the enduring gospel traditions of Detroit’s black churches, did much to blaze the trail that later artists could follow. But when Armstrong first began to merge sacred and secular in her music, she had to endure criticism from the faithful, and it may be that she has received insufficient credit for her part in creating an extremely significant musical movement. Armstrong was born Vanessa Bell in Detroit on October 2, 1953 to Jesse and Mildred Bell. She was raised in the Church of God in Christ, a denomination that had nurtured other gospel greats such as BeBe and CeCe Winans, Andre Crouch, Edwin, Walter and Tramaine Hawkins, and others. In 1957, when she was four years old, Vanessa began traveling with her mother singing in various churches in the Detroit area, singing. It was clear even at that young age that she had both remarkable stage presence and the vocal control of someone considerably older. Having a father who was pastor of a growing church meant Vanessa and her sisters were actively involved on the ministry from a young age. “A lot of times I played the drums, my older sister Charlene Bell played the organ, and my little sister Margaret Bell would play the tambourine, and the others would clap their hands and we would have a good time” according to Armstrong. The year 1987 marked a turning point in Armstrong’s career. The success of Peace Be Still attracted the attention of big-time talent scouts, and Armstrong was signed to the flourishing R&B label Jive Records. That year, she served notice of her vocal capabilities when she edged out both Franklin and virtuoso songstress Patti LaBelle in auditions to perform the theme song of NBC television’s Amen situation comedy. She also appeared in a Broadway theatrical production called Don’t Get God Started. But the crucial event of the year was the release of Armstrong’s Jive debut album, simply entitled Vanessa Bell Armstrong in 1987. The album drew denunciations from fans of traditional gospel who accused Armstrong of “backsliding” and “selling out.” Despite the criticisms, Vanessa Bell Armstrong was a strong seller and propelled the singer’s career forward. The album yielded the crossover R&B hit, “You Bring Out the Best in Me”. Armstrong’s next Jive album, “Wonderful One,” released in 1990, extended her crossover experiments, by featuring a duet, entitled, “True Love Never Fails,” with Jive label-mate jazz guitarist Jonathan Butler. In 1990, Jive released a CD of Armstrong’s greatest hits album along with the highly praised “Truth About Christmas.” In 1991, “Chosen” was re-released. The multi-talented Armstrong branched out even further afield of gospel music in the late 1990s when she appeared with Oprah Winfrey in the Women of Brewster Place, a made-for-TV movie which enjoyed widespread critical acclaim. Armstrong continued her brisk recording pace; she released “Something On The Inside” in 1993 followed by “The Secret is Out” in 1995. Indeed, even as she continued to break new ground, Armstrong reaffirmed her commitment to gospel traditions. She continued to exert influence over secular artists–it was said that vocal diva Mariah Carey studied her singing–but she would close out the 1990s with a spectacular return to gospel basics. In 1998 Armstrong recorded “Desire of My Heart–Live,” recorded at the Perfecting Church in her hometown of Detroit. The album was released on the Verity label, and its release was accompanied by a video made as it was being recorded. “Desire of My Heart–Live” marked a homecoming and a moment of renewal for Armstrong. 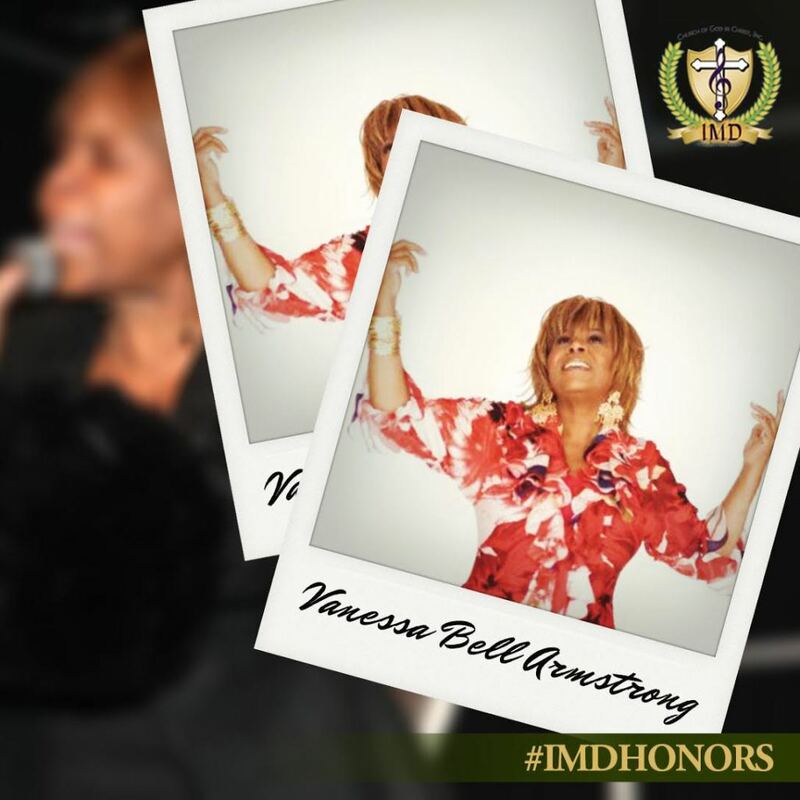 Vanessa Bell Armstrong took a 3 year self-imposed hiatus from recording before releasing “A Brand New Day” under a new deal with Tommy Boy Gospel in 2001. Armstrong’s album, “Walking Miracle,” was released six years later in 2007, followed by her most recent work, “The Experience”, released in 2009, both on EMI Gospel.